Zena qualified from Guys Hospital in 1986 and spent three years working in Oral Surgery during which time she gained her Fellowship Exam from the Royal College of Surgeons of Glasgow. 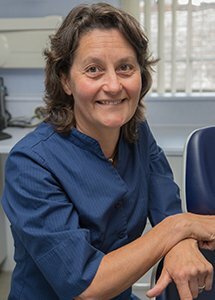 She undertook a further three years postgraduate degree in Orthodontics and was awarded Membership of the Royal College of Surgeons of Edinburgh in Orthodontics in 1993. During this time she also obtained a Master’s of Science Degree.